Sen. Len Suzio (at right) on Jan. 10 joined with state lawmakers in Hartford for the first 2017 meeting of the Connecticut General Assembly’s Veterans Affairs Committee. The panel has cognizance of all matters relating to military and veterans' affairs. Suzio urged area residents who have ideas on how to improve the quality of life for Connecticut veterans and their families to contact him at 800-842-1421 and at Len.Suzio@cga.ct.gov . Suzio represents Cheshire, Meriden, Middlefield, Middletown, and Rockfall. On the web: www.SenatorSuzio.com . 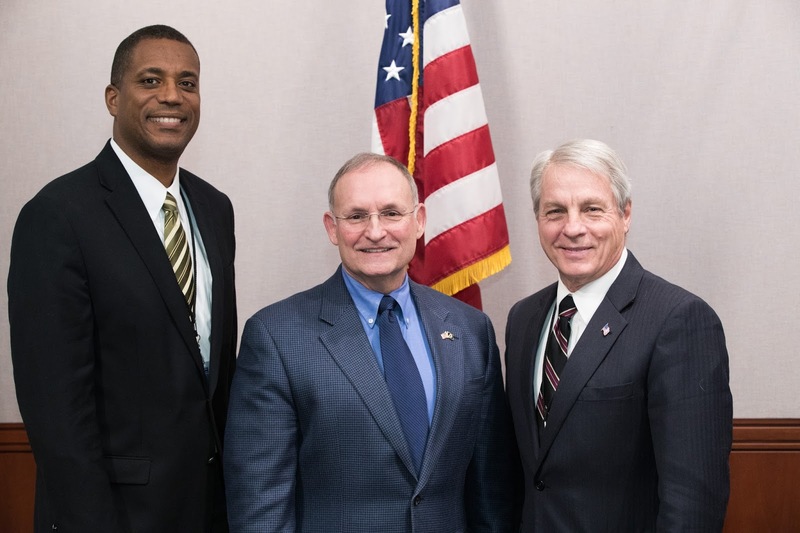 Attached photo, left to right: Veterans Affairs Committee Vice-Chair Sen. George Logan (R-Ansonia), Committee Co-Chair Sen. Henri Martin (R-Bristol), and Sen. Suzio.